It’s not often that an actor is replaced in a TV series, but Gotham is currently searching for someone new to take over the role of Poison Ivy for season three. The young Clare Foley has played the character over the course of the Batman prequel’s first two seasons, but it now appears as if Fox wants to take things in a vastly different direction. Foley’s Ivy is pretty much a street kid, but just like in the comic books when the shy and retiring Pamela Isley is transformed into Poison Ivy, it seems like Gotham is looking to shake things up with the character and make her a little closer to the version of the iconic villain you see in the photo above. 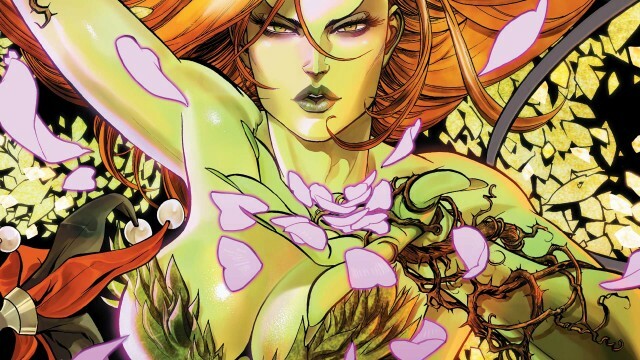 TV Line reports that the show’s producers are now looking for an actress in their late teens as Gotham plans to accelerate Ivy’s path into embracing her eco-terrorist roots. It’s not clear just how far along into her transformation the character will be when she returns, but it’s going to be interesting to see how (and if) the series acknowledges this pretty major change in appearance. Either way, this news is sure to further irritate Batman fans already at their wits end with Gotham‘s decision to introduce many of the Dark Knight’s greatest rogues years before the young Bruce Wayne dons the cape and cowl. The show continues to perform steadily in the ratings though, so like it or not, Gotham definitely has an audience and is likely here to stay.